HARRISBURG – According to a Sept. 4 ruling from the Commonwealth Court of Pennsylvania, a company seeking site-specific relief to construct billboard space on property it leases must apply for that relief through the designated township. The Commonwealth Court upheld a Dec. 16 decision of the Chester County Court of Common Pleas, which granted exceptions to Chester County Outdoor (CCO) as to the report of the Zoning Hearing Board of East Pikeland Township (ZHB), with respect to procedures used. 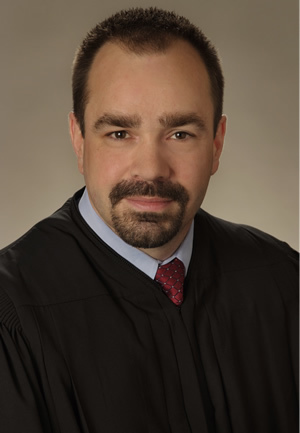 The matter came before judges Dan Pellegrini, P. Kevin Brobson and James Gardner Colins of the Commonwealth Court, as Brobson authored the Court’s majority opinion affirming that of the trial court. CCO engages in the business of developing, owning, operating, and leasing commercial off-premises advertising billboards, and acts as the billboard lessee of property located at 458 Schuylkill Road in East Pikeland Township. On Dec. 20, 2011, CCO filed a challenge to the validity of the East Pikeland Township Zoning Ordinance, with the ZHB. Namely, CCO alleged the Ordinance unlawfully excluded billboards. At that time, CCO did not request site-specific relief from the ZHB or submit plans for a proposed billboard with the validity challenge. On Feb. 7, 2012, the Board of Supervisors of East Pikeland Township adopted a resolution declaring the challenged sections of the ordinance to be invalid, later sustaining the challenge and amending the ordinance. On July 30, 2012, CCO filed the instant declaratory judgment action with the trial court, seeking a declaration that CCO is entitled to site-specific relief to permit a billboard use on the Schuylkill Road property and a hearing be held pursuant to Section 1006-A(d) of the Pennsylvania Municipal Planning Code (MPC) to consider plans for the proposed billboards in determining CCO’s right to site-specific relief. Concurrently, CCO filed a petition for a hearing to determine site-specific relief. On Aug. 20, 2012, the Township moved for the ZHB to be appointed special hearing master pursuant to Section 1006-A(c) of the MPC – however, CCO objected, arguing that only the trial court could grant relief. Over CCO’s objection, the trial court granted the motion to hold a hearing to determine CCO’s entitlement to site-specific relief. On Sept. 2, 2014, the ZHB issued its report, denying CCO site-specific relief. The ZHB found that the proposed billboards “would present a threat to health, safety, and welfare; do not comply with the extant provisions of the ordinance; and do not comply with other reasonable zoning regulations.” CCO filed exceptions to the ZHB’s report. The trial court issued an opinion on Dec. 16 granting CCO’s exceptions to the special report, to the extent the exceptions challenged the appointment of the ZHB as a special master under Section 1006-A(c) of the MPC, for the purpose of considering site-specific relief. However, the trial court also declined to implement the report. The trial court cited an unreported panel decision of the Commonwealth Court in CCO v. Board of Supervisors of Penn Township, a similar case, opining CCO’s request for site-specific relief did not belong before the trial court. “CCO’s next step in our case, after prevailing on its challenge, should have been to submit plans to the Township. CCO has never applied for and been denied site-specific relief. Since no application has been denied, no relief is available under Section 1006-A of the MPC,” the trial court decision stated. Though CCO argued the Commonwealth Court decided the Penn Township case incorrectly, Brobson concurred with the rationale of both that decision and that of the trial court in this case. Brobson explained CCO was in “a virtually identical procedural posture” now, as they were in the Penn Township case, and on behalf of the Commonwealth Court, Brobson affirmed the trial court’s decision instructing them to submit cause for site-specific relief directly to East Pikeland Township. “CCO successfully challenged a zoning ordinance without simultaneously requesting site-specific relief and then filed a declaratory judgment action for site-specific relief without ever submitting the proposed plans to the appropriate municipal authority,” Brobson said. “We find Penn Township persuasive and decline to re-examine the issue here. Because the instant case is indistinguishable from Penn Township, the trial court did not err in directing CCO to submit its request for site-specific relief to the appropriate municipal authorities. For the reasons discussed above, the order of the trial court is hereby affirmed,” Brobson concluded.